No other country or culture was so Greatly concerned with beautification and body care than ancient Egypt. Cosmetic implements, particularly eye-makeup palettes, have been discovered in the earliest graves. Yet Egypt's Queen Cleopatra VII was credited with writing a book of beauty secrets, based on her personal practices. Many of her beauty treatments are still used by women around the world: henna for hair, aloe for skin, and kohl for eye enhancement. Her luxurious bathes included dead sea minerals and salt, and often olive oil, but she was more noted for her milk baths. Although her beauty book has been lost, ancient Egyptian scrolls contain dozens of treatments, including a special anti-wrinkle-cream formula that might have been similar to one prescribed by the last Queen of the Nile. This formula called for a mixture of Frankincense (which helps reduce wrinkles and scars), oils, grass and fermented fruit juices. Some think the fruits were added for aromatherapy, but recent scientific data and anti-aging specialists indicate that this fruit-laced facial cream had special benefits for the skin. We are told that Esther underwent 12 months of beauty treatments in the bible. 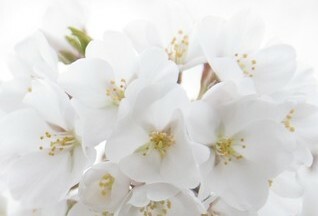 "Beauty Treatments" prescribed for the women, six months with Oil Of Myrrh and six with perfumes and cosmetics. Calamus Oil was used along with Cassia Oil and Aloes so the women would be beautiful before the king. And here are some more skin (products) they had to work with. Pomegranates, figs and choice fruits were mentioned quite often, and henna blossoms from the vineyards and nard. A spacious Land flowed with milk and honey, and there were fig trees, pomegranates, olive oil and yes, even wine. There was balm, coriander seeds, wheat and barley and Grapes, spices and myrrh, pistachio nuts, almonds, nard, saffron, and cinnamon were all provided in ancient times for women's beauty treatments. Unbelievable as it may seem, you have almost everything you need in the comfort of your own home to keep your skin looking radiant. You have it in your cupboards, your spice rack, and your fridge. BUT, what do we do with it? What fruits, oils, liquids and spices do we use to make the best facial mask, scrub, moisturizer, or toner, and what amounts. I have the answer for you. 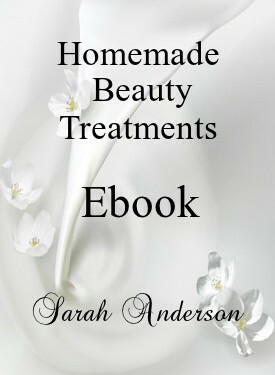 My Ebook "Homemade, Anti Aging Beauty Treatments" is jamed packed with easy to make beauty recipes that you can make right in your own kitchen. You'll be amazed at what a bannana or avacado can do to nourish and replenish your skin. Mix a few of your favorite ingredients together and WALLA, you have a fragrant, quality facial mask. Bathe in the same luxurious bathes Queen Cleopatra and Queen Esther indulged their bodies in...Discover Amazing Homemade Beauty Treatments that will delight your body and soul. 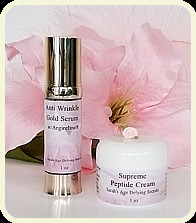 Hundreds of wonderful skin softening, wrinkle repairing, body nourishing recipes can be yours today. If you want to save money, have fun, pamper yourself, and swim in the esssence of sweet delight, you will LOVE this Ebook, GUARANTEED. This incredible Ebook can be yours FREE when you order any one of our products (with the exception of pearl products). That's right. 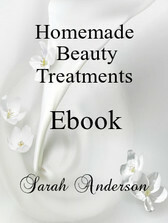 When you order any one of our products (except for pearl products) you will receive this Fabulous Book FREE of charge. AND, when you order any one of our products you will not only receive my "Anti Aging Homemade Beauty Treatments" Ebook, you will also receive my "Face Exercises Ebook. Any one of our products or kits (excluding pearl products), and you will receive 2 Fabulous Ebooks Free of charge. Don't delay, Place your order Today! This is an Ebook. An "Electronic Book". You will be receive a link that will take you directly to the webpage. There you will read it off your computer. This book WILL NOT be sent through the mail. It will sent via email, so please check your email for the link.